Squash is a good entertaining sport which is widely popular all over the world. Playing squash is a great exercise and fun at same time. As of now, popularity of squash is very little in India. This may be due to lack of opportunities & infrastructure. It is slowly gaining popularity in India as well. So, the situation is changing, and people are getting interested in this sport. Squash as a sports is growing and there would be many opportunities in future. The History of Squash goes way back to 19th century when it was first played in Harrow School in England. Slowly it became an international sport. After a couple of decades, the game gained popularity in North America as well. The first Squash court in USA was built in the year 1884. India is slowly getting recognised as a country which has got some good number of squash players who can give tough competition to established squash players at an international level. The Indian men’s national Squash team has reached till quarter finals stage in the World Team Squash Championships on numerous occasions. Not only men but women also are strongly representing India in different international games. India have some notable sports persons in squash. Dipika Pallikal is a well know Indian squash player. Players like Yrus Poncha, Ritwik Bhattacharya, Saurav Ghosal, Joshna Chinappa, Siddharth Suchde etc have won different international sports events. Like in the case of all other sports, Squash also has a national governing body which takes undertakes all kind of steps to popularise the game in India, which is, Squash Rackets Federation of India. A Squash court is a small playing surface which surrounded by 4 walls. There are specific markings on the court surface to separate the front and the back side and the left and right hand side of the court. The dimensions of the court are also well defined typically 9750 mm in length, 6400 in terms of width and 5640 in terms of Height. The size and shape of Squash rackets have changed drastically over a period of time. A Squash racket is different than a tennis racket. Rackets with different dimensions available for children and adults. There is a specific technique of holding a squash racket. A correct Squash racket grip helps in hitting the ball more effectively. Normally the coaches begin by helping the players in having a proper grip. Then the players are taught about lifting the racket properly. As a beginner, players are taught to make correct judgement about where the ball will travel after being hit on the wall. Doing a proper warm up before the start of the play. Using all the areas of the wall more strategically. Never moving your eyes from the ball. Not exhausting your body by running too much around the court. Preserving energy till the last minute of the game. The string tension also plays an important role in the structure of the bat. Normal range of thickness in Squash rackets is between 1.10 mm to 1.30 mm. A standard squash ball is between 39.5 to 40.5 mm in diameter and it’s weight should be upto 25 grams. As Squash is played inside a court, it requires specific type of shoes which cannot damage the court. They should be non-marking. Quality of the racket will affect durability, speed, control and overall playing. Following are some important things to consider before buying a squash racket. 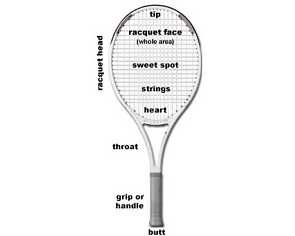 Parts of squash racket – Grip, Head, Shaft, throat. Cost – Cost is important because low cost rackets are made with aluminium and will weigh more. Go for medium priced rackets even if you are a beginner / Racket is for kids. Material used – Low quality rackets are made with aluminium whereas, graphite/carbon fibre material is used for medium and high quality rackets. Sometimes combination of these materials are used. Weight – Weight available from 100g to 275g. Ideal weight may be considered to be 140-160 grams..
Balance – Head heavy rackets make it easier to generate power. Because it has more weight at head area. Head light rackets are easy to swing because less weight is distributed to head area. It have thin head part . String tension – Low string tension means more power but less control. Stiffness – Stiffness rating is a measure to show how much racket flex on its axis. Simply put it is about flexibility of racket. Less stiff rackets provides less hard impact on hitting. If racket is more stiff it will return more impact on hitting and will result in more power. Shaft type/Throat shape – V shaped and full strung shafts are 2 different types available. Graphics & look – Good rackets also have good looks also. It shows how costly racquet it is in one glance. 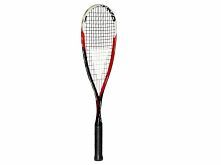 Which are the top squash racket brands in India? You can get rackets from popular Indian / foreign brands. Rackets from top Indian sports companies like Cosco, Nivia gives a tight competition to imported global brands. 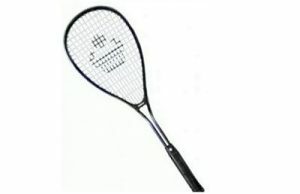 Global brands that you can get in India, includes world famous squash racket brands like head, technifibre, wilson etc. When buying, make sure to buy from trusted sellers, as there are many fake products out there. 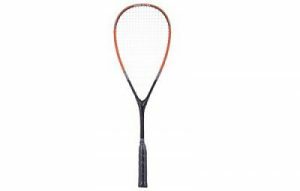 Finally, following are our selection of best rackets based on price range. This racket Weighs 175 grams and is good for junior players. Will be a perfect option for age group from 5 year to 14 years. Price range – check price at amazon, flipkart. This racket is from Cosco but made with aluminium. Brand – Head, it is one of the best racket in this price range, for beginners and intermediate players. Following are some best rackets for ntermediate/expert players. Prince SQ O3 Hybrid -light weight, amazing graphics(white blue, colour combination), good quality and stability. 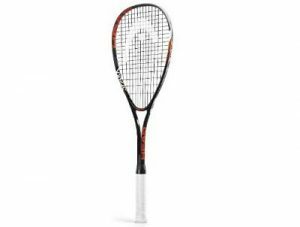 Head Nano Ti 120 – Racket form germen companay head. Price range below rs 5000. Weight 215 gram. Tecnifibre Carboflex 125-S – Used by international level playeres this racket is 125 gram in weight and is best for power and control.Made with graphite graphite and titanium composite. Dunlop Rage 25 – Make material is graphite. Racket is also great looking in yellow black colour combination.